Ross Tokely has stepped down as Brora Rangers manager. Tokely had been in charge at Dudgeon Park since December 2016, and twice guided the Cattachs to the North of Scotland Cup. The former Caley Thistle and Ross County defender also guided the Sutherland outfit to the fifth round of the Scottish Cup earlier this season, triumphing away to League 1 sides Stranraer and East Fife to set up a tie away to Premiership side Kilmarnock in February, with Brora going down 4-0 against Steve Clarke’s men. 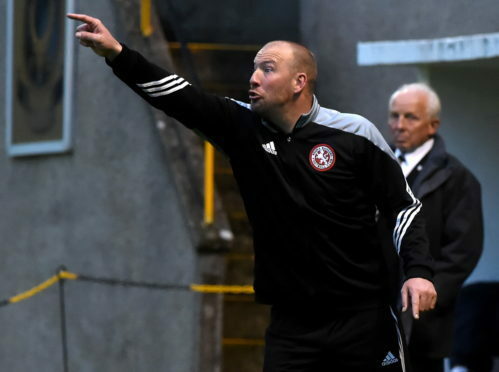 Brora have not enjoyed the same success in the Highland League this term however, and will finish sixth regardless of the outcome of Saturday’s final game of the season away to Turriff United, which has prompted 39-year-old Tokely to step aside from his role. Alan Duff will take charge of the Cattachs for the Haughs encounter this weekend.